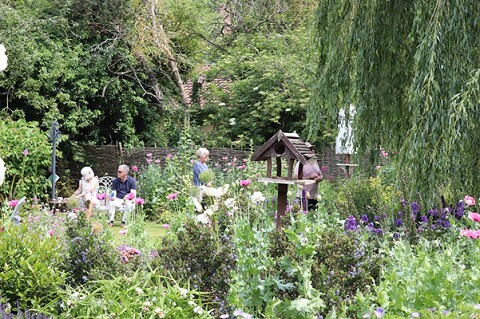 Gardens around the village will open to visitors and most are within easy walking distance of each other. They range from large open landscapes, wild flower meadows to container and cottage gardens including 2018 Winners of Best container garden, Best hanging baskets & Wildlife Friendly and Silver Spade awards. A great day out for the whole family - plant knowledge quizzes, children's quizzes, online weather station, collection of over 300 cacti and succulents, ponds and water features, fish, vegetable plots, vintage horticultural items, a private falconry collection, tombola and plant sales. Are you looking for some expert advice to help you with your garden? A team of specialists advisors are offering free advice to help your garden flourish. If you're confused about wisteria pruning or are looking to plant a shady corner, plant identification, pests and diseases, we're here to help. Bring your questions and samples. Wisbech St. Mary Parish Church will be open with art exhibition displaying local artists work and music recital. Falconry flying demonstrations throughout the day. Enjoy live music by the Beauvale Ensemble and Peterborough Flute Choir. Sandwiches, ploughman's lunches, home baked cakes, cream teas, ice-cream, strawberries and cream, hot and cold drinks. Proceeds in aid of Alzheimer's Society. £5.00 adults, accompanied under 16s free. Entry to all gardens includes falconry collection. Buy entry programmes with maps on the day from any participating garden - look for the gardens displaying a large orange flower. Start at any garden displaying a large orange flower.